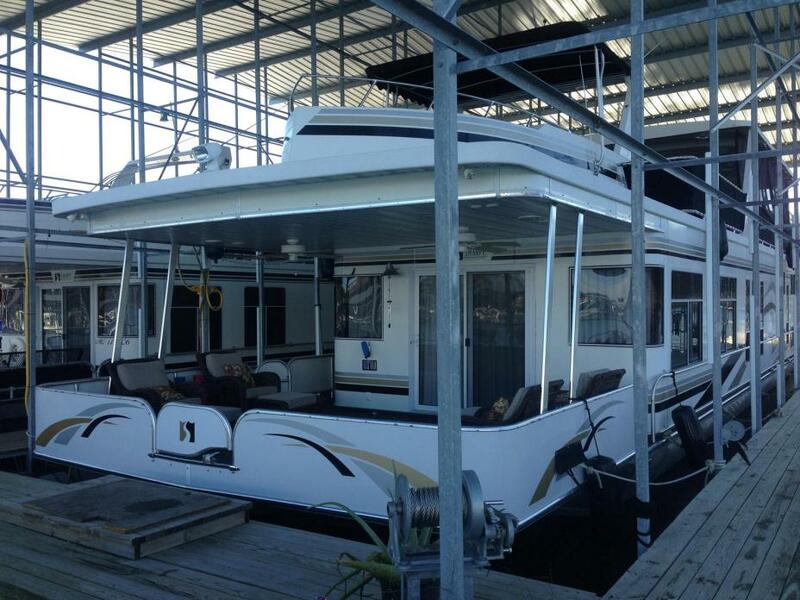 2004 Sharpe 16x85 Houseboat PACKAGE DEAL. 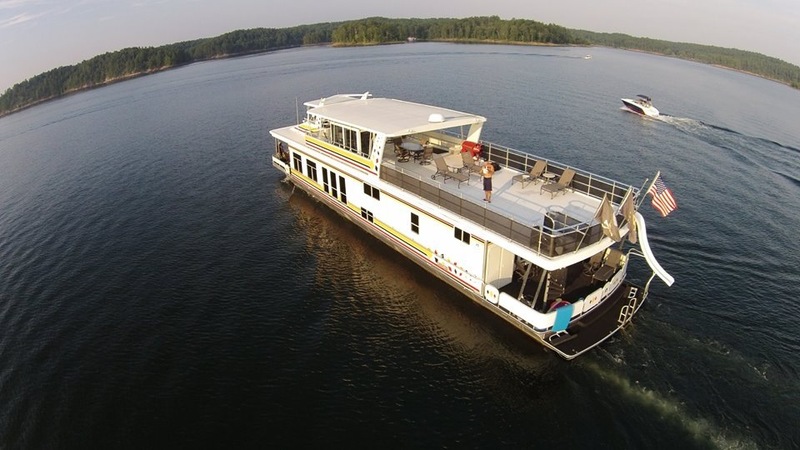 Custom built houseboat. Lots of upgrades. One owner. Exceptionally well maintained. Always in covered dock. Located at end of A Dock at North Shores Marina. Beautiful and sought out location with beautiful views. Excellent for families. Four bedrooms and two full baths. Full-size washer and dryer, large refrigerator, dishwasher and garbage disposal. Large open kitchen, dining area and den. Upper deck includes hot tub, bar area and refrigerator. Full specifications available. 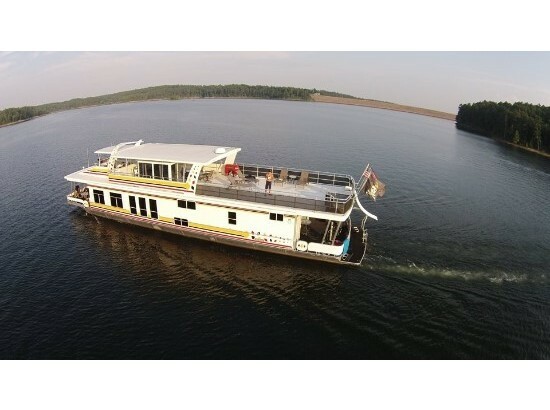 Package deal includes extra decking in front and to side of boat, all furnishings inside and out, mule (side by side) to transport things from car to boat and to use in the 300+ miles of trails in area, lift for ski boat, fishing boat (16 G3 crappie fishing boat with 40 HP Honda 4 Stroke), two 2007 jet skis purchased new in 2009 with double trailer and two lifts, two ramps and winches on back of houseboat to travel with jet skis, four large dock boxes. 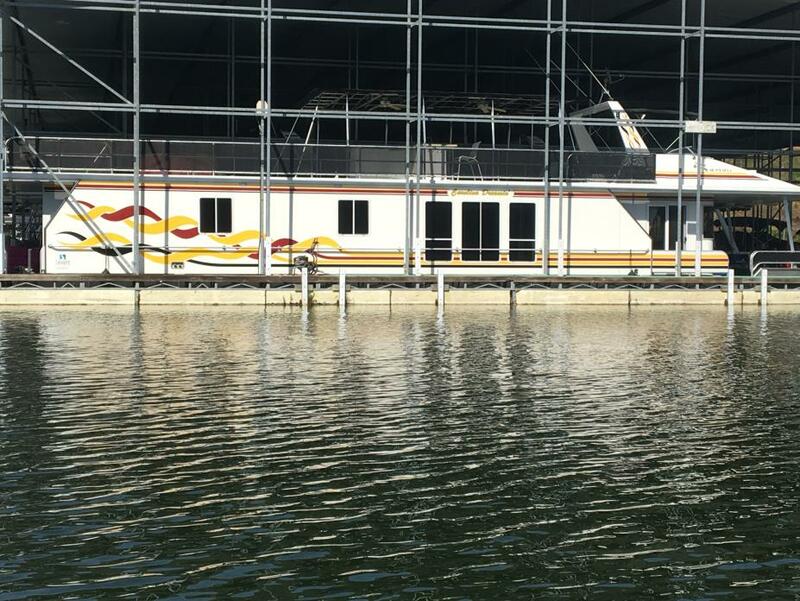 2007 Sharpe 92 x 18 wide body 92 x 18 Sharpe Houseboat. One owner, covered slip, highly optioned, like new condition. Low hours. Heavily optined boat. Reversed Floor Plan. Sharpe THERMOPANE Insulation Package with 8ft 6inch walls. All Anodized Rails upper & Lower Decks. Extra large 1.5 inch Rails Upper & Lower Decks. Anodized Roof Supports. Large Master w/King, large Master Bath w/full shower. VIP Stateroom w/King. Large Cuddy w/Queen/office. Cuddy w/two twins. Large Guest Bath w/full shower. Very Large Kitchen. Corian countertops in kitchen/Baths. Raritan Atlantis Heads-2. Food waiter. Wood floors throughout. Upper FlyBridge w/surround Seating. 2 roof entertainment units, sink, freezer, frig, ice maker. Food waiter to kitchen. Full guages/controls at Flybridge. 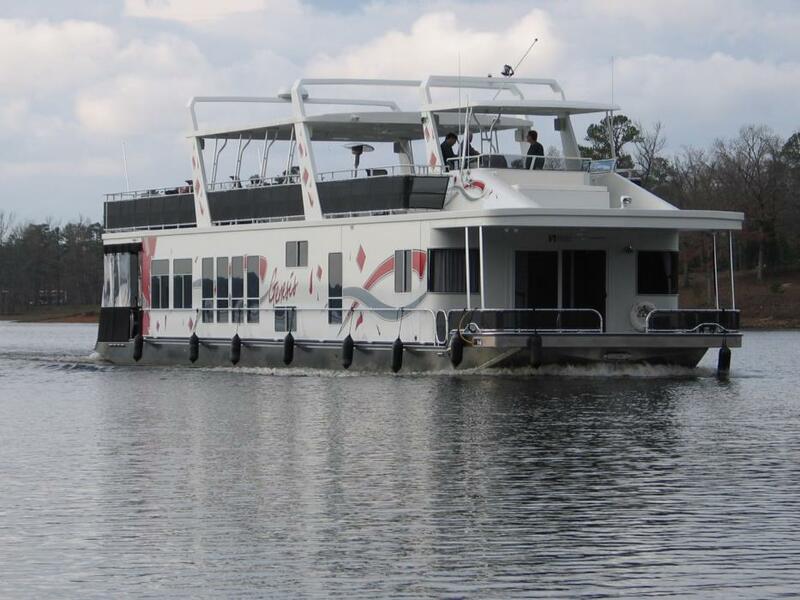 2007 Sharpe wide body 92 x 18 Sharpe Houseboat. One owner, covered slip, highly optioned, like new condition. Low hours. Heavily optined boat. Reversed Floor Plan. Sharpe THERMOPANE Insulation Package with 8ft 6inch walls. All Anodized Rails upper & Lower Decks. Extra large 1.5 inch Rails Upper & Lower Decks. Anodized Roof Supports. Large Master w/King, large Master Bath w/full shower. VIP Stateroom w/King. Large Cuddy w/Queen/office. Cuddy w/two twins. Large Guest Bath w/full shower. Very Large Kitchen. Corian countertops in kitchen/Baths. Raritan Atlantis Heads-2. Food waiter. Wood floors throughout. Upper FlyBridge w/surround Seating. 2 roof entertainment units, sink, freezer, frig, ice maker. Food waiter to kitchen. Full guages/controls at Flybridge.